The stunning grounds at Lea Green Centre provide the perfect setting for you to inspire, motivate and re-energise your team for success. Friendly and knowledgeable staff, excellent accommodation, fabulous food and a beautiful countryside location make for an exciting experience for all in the heart of Derbyshire. We have years of experience in helping people to develop their workplace skills, such as leadership, communication, delegation, team work and initiative. From bushcraft and survival skills to ropes courses and problem solving games, our team away days are tailored to your workplace needs, desired outcomes and your budget. 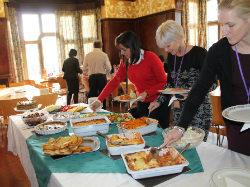 During your tailored team away day you can also make use of our meeting spaces and facilities. 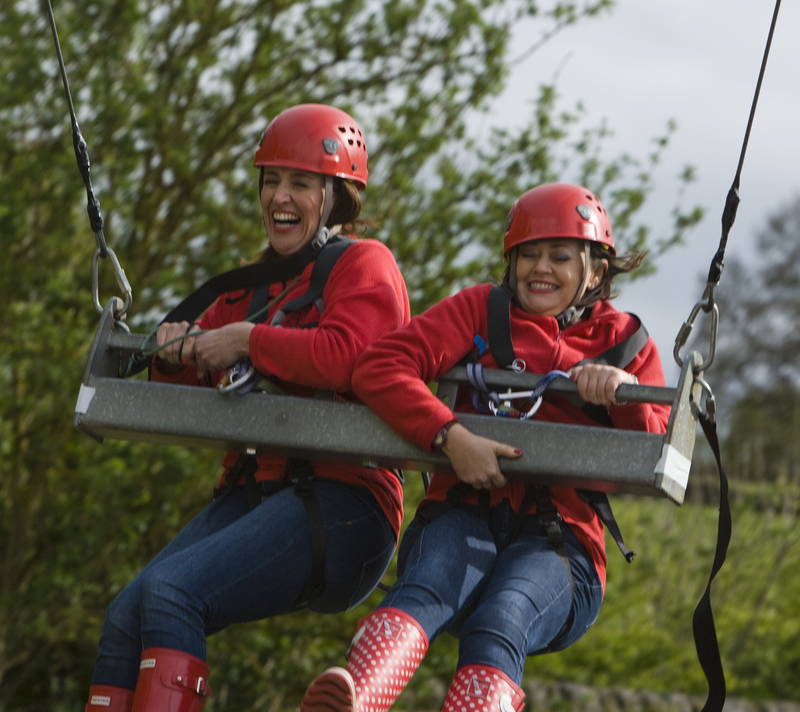 You might choose to spend the morning discussing key objectives and take to the high ropes course in the afternoon. As an alternative our mobile team can visit your venue to deliver activities including a climbing wall. We offer a range of group accommodation options if you want to extend your team building experience, including glamping on-site and bedrooms in the main house. The M1 is under 10 miles away and the Centre is accessible via the A6 from Ambergate, Belper and Derby. There are regular bus services and railway stations at nearby Cromford, Whatstandwell and Ambergate. Contact us on 01629 534561 to plan how your team could spend quality time away from their daily working environment to encourage fresh, creative thinking. 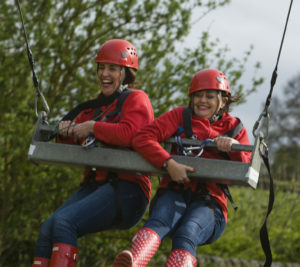 Competitively priced packages for 2019 dates start from £55 per person for a group of 10 to take part in unique team building activities. If you would like to book a team away day at our central Midlands location, please complete the below form. 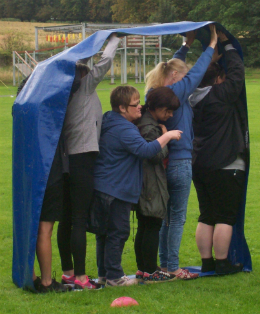 The team look forward to discussing how you can use outdoor activities to develop leadership skills, improve communication and motivate your team through challenges. Team away days can be booked by organisations in Derbyshire and beyond.